Thousands of environmental protesters blocked Waterloo Bridge, Oxford Circus and Marble Arch today as they tried to bring London to a standstill in a co-ordinated day of action at five landmarks. 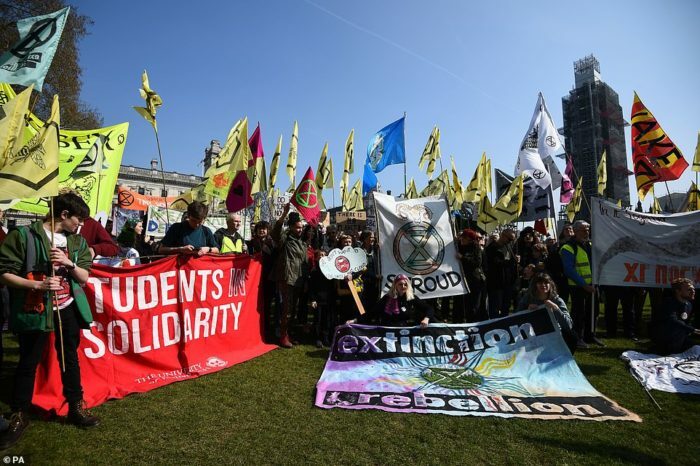 Transport for London told of widespread disruption amid 20 bus routes being diverted, with organisers of the Extinction Rebellion group claiming up to 30,000 eco-protesters are expected to block major routes today. But it appeared that only thousands, rather than tens of thousands, of people had gathered by the time the protests began at 11am today – with Parliament Square and Piccadilly Circus their other two targets.